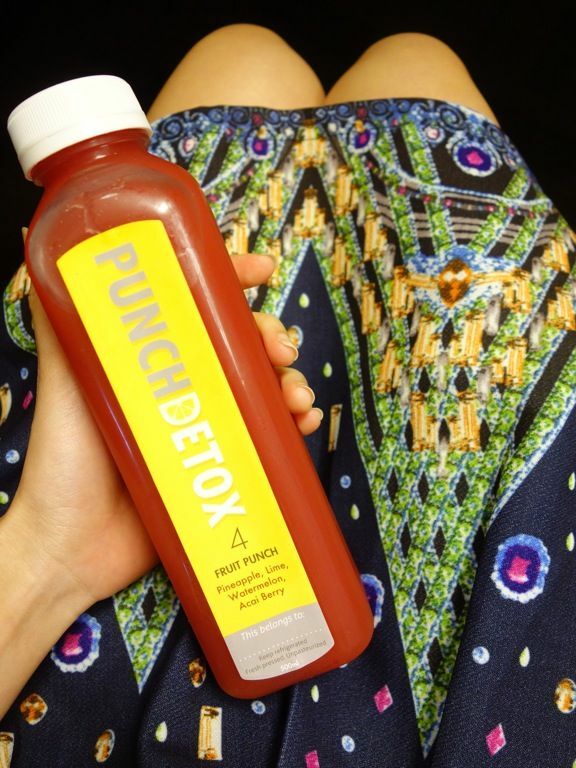 People go on a juice cleanse for different reasons. 1. They believe that the combination of fruit and vegetable juices, rid the body of toxins while flooding it with nutrients, vitamins and minerals to boost the immune system. 2. They wanna give their digestive system a break from digesting solid food. 3. They wanna lose weight, get glowing skin, better digestion etc. 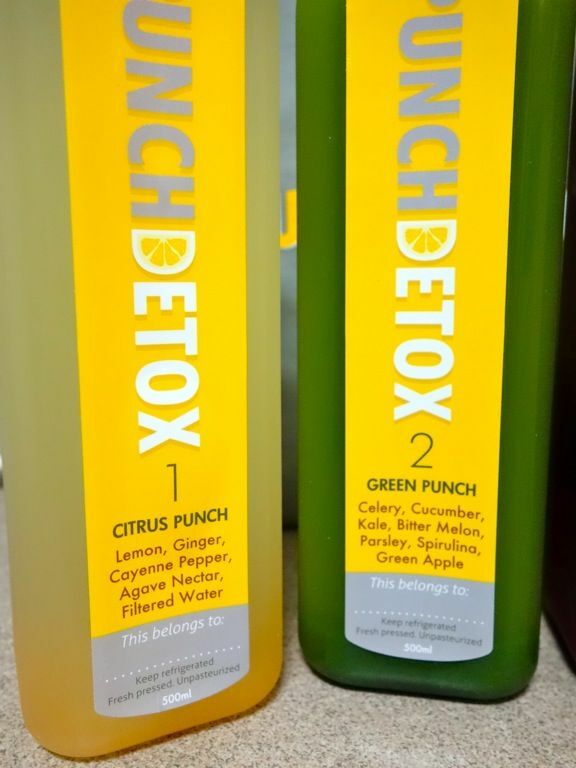 After my first juicing experience (read it here), I was still a little skeptical about the benefits but decided to give it another shot, this time with Punch Detox. 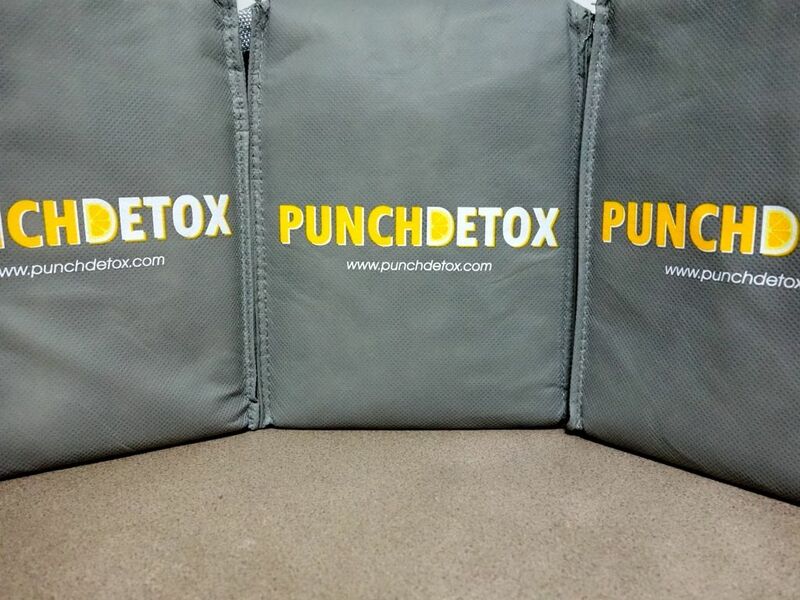 Punch Detox is new to Singapore but it's well established in Hong Kong. Other than using organic fresh fruits, vegetables, spices, nuts... they are the only one in Singapore that incorporates a “superfood” in every one of its juices e.g. Amazonian Acai berry, Himalayan Goji berry etc. which are well... SUPER. Norwalk hydraulic juicer, the Rolls Royce of juicers, is used by Punch (of course it's cold pressed duh). The juice retains significantly more vitamins and enzymes and is supposedly more tasty too. There's the regular 3 day cleanse with two levels. Well I forgot and chose level 1, which proved to be waaaaay too easy for me since I already take a lot of veg and fruits. 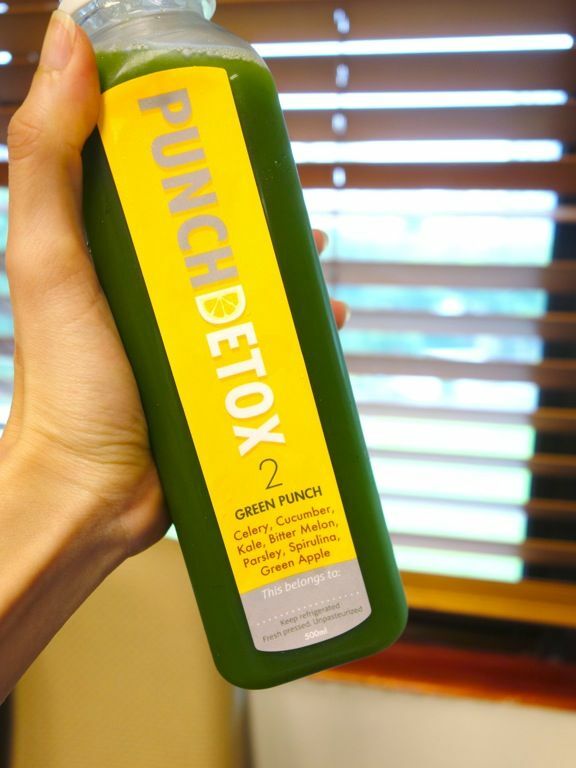 So go ahead, take the plunge and start with a deeper cleanse. What's the point when it's too easy right? 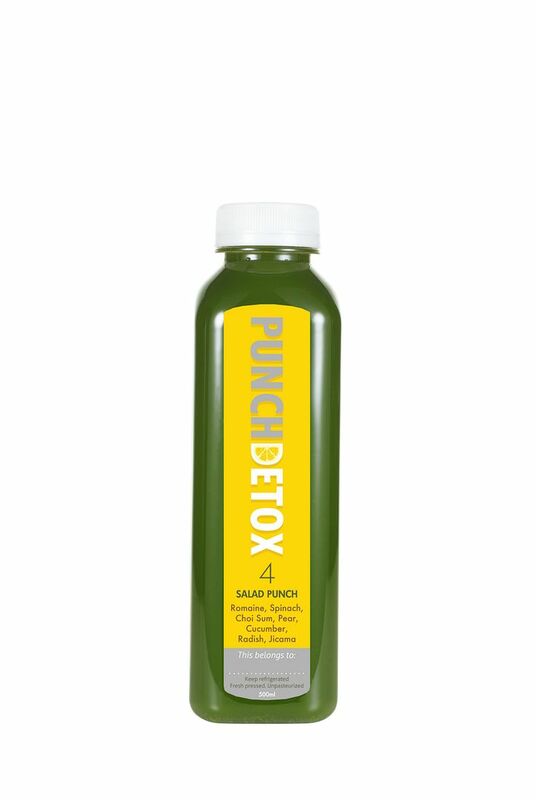 Punch also offers a “Build Your Own Cleanse” program and you can handpick your favorites from 10 nutritious juices. This works well for experienced “juice cleansers” or return customers. Some logistics first. The bottles are made of plastic and they're tall and slim. This made them much easier to transport since I didn't want them sent to the office. If you remembered, I hated how heavy the HICjuice bottles were. Also, Punch's cooler bag is sturdy with a sufficiently thick strap for easy carrying but the strap isn't long enough to be slung over the shoulders. I started the juice cleanse thinking that I'd get through it easy this time since I've already done it before. Plus the fact that I'm only giving level 1 a shot (which is for the kiddy league tbh). Plus the fact that my appetite hadn't been that well in the days leading up to my cleanse, so I thought that should kinda help with the craving. Well, I was wrong about that craving. I obviously wiped out the memories of me obsessing about food the THE WHOLE TIME. RWARRR. So if you're like me, my advice for you would be to keep yourself busy so you wouldn't think about snacking. This time, I tried to start my cleanse right, which meant starting my day with some warm lemon water. I hate drinking water but I've been conditioning myself to drink more ie. following the regular 8 x 8 rule. It got easier over the 3 days. So yea, do it! So let's start with the flavors. There are only 6 flavors so here goes. It has Lemon, Ginger, Cayenne Pepper, Agave Nectar and water. I thought it was honey lemon water because it was a little sweet and not as as sour or spicy as the HIC'Juice Lemon N Spice. W couldn't take the HIC one but I loved that so this is really mild. Certainly minimal afterburn. Celery, Cucumber, Kale, Bitter Melon, Parsley, Spirulina and Green Apple. I'm accustomed to this taste since I had plenty of green juices in my first cleanse. My conclusion is that green juices are all the same. This went down easy and made me crave for more veggie! This is the expensive ABC made with beet, carrot, ginger, orange, goji berry and red apple. I like the lightly spicy cooling ginger taste. Due to the high fruit content, I found the juice to be on the sweet side and I much preferred Heart Beet by HIC. This was a terribly sweet juice that really tasted like a fruit punch (which I don't like). I know it's natural sugar and all but the ingredients could certainly be tweaked. Meh! 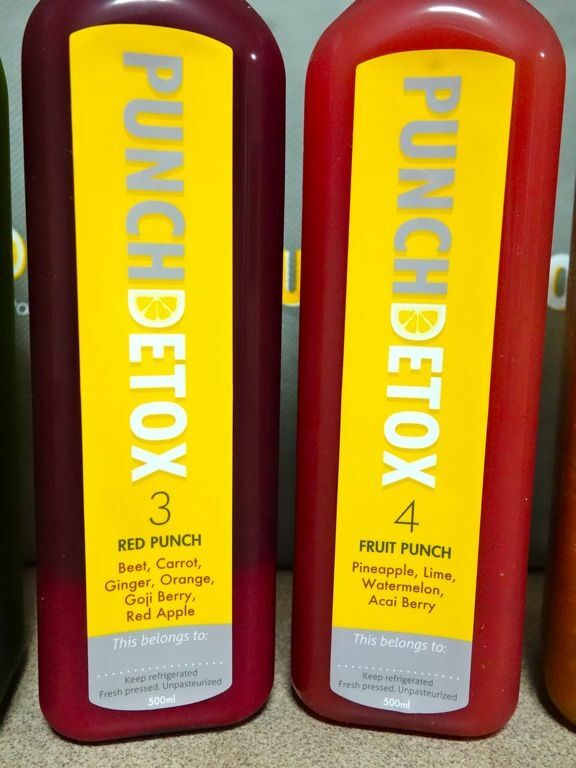 I couldn't get through half a bottle and I didn't want to dilute it as well because that would mean more punch. So I threw it away. :P The next day I shared the drink with my friends and diluted mine from 1/3 to half a bottle so it became just about bearable. 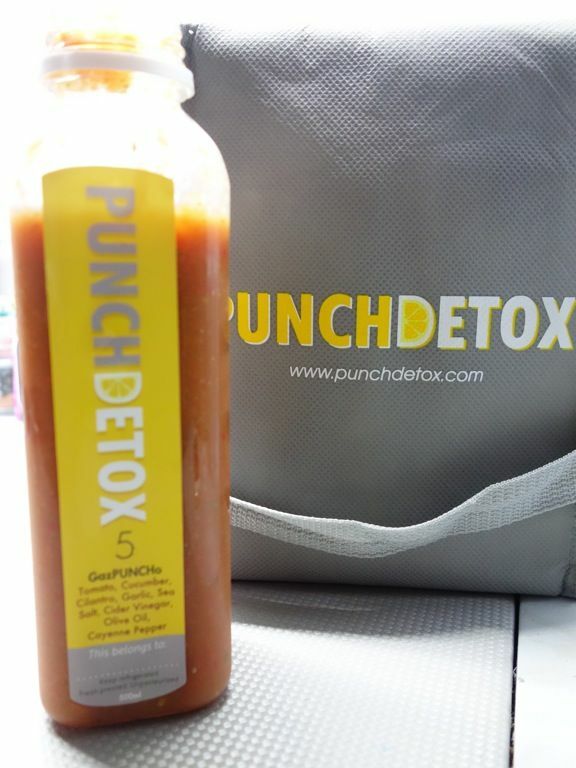 Punch Detox is the only juice cleanse in Singapore to offer a savoury juice, the GazPUNCHo. After tasting the juice, I guess I know why they're the only one... The taste was simply eeeeeks. I've had many a Spanish gazpacho but this featured garlic, cilantro and cayenne heavily. I tried it as a cold drink and I could only finish half a bottle due to the pungent taste and viscous texture. I gave it a second shot as a soup after heating it up and again I could only stomach half a bottle. Another bottle was given away to S's daddy. I didn't like HIC's nutmilk at all because it had this really oily mouth feel and a stale oil taste. 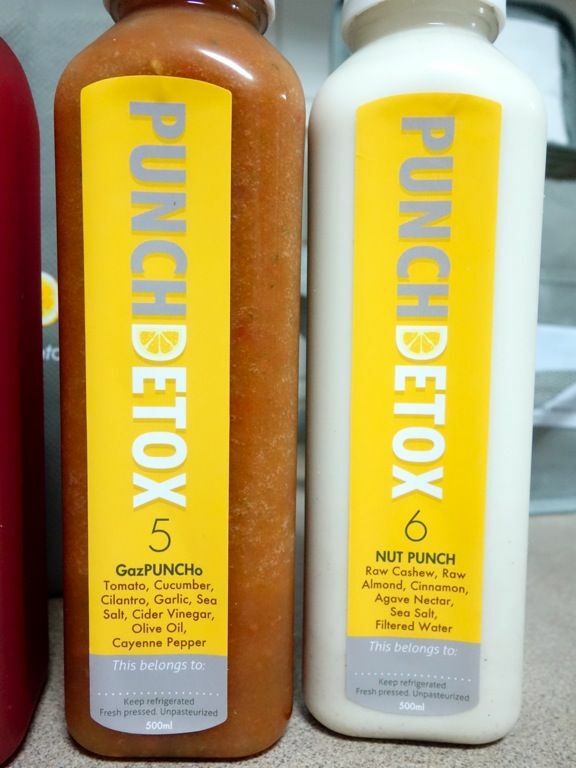 Punch Detox fared better and it was actually tasty if you like that Chinese almond taste. It tasted kinda like a Chinese almond pudding in liquid form. I'm pretty sure English almonds wouldn't yield that flavor. Anyway, it's a good neutralizing agent for the pungent Gazpacho. After my second juice experience, I think I've kinda found a use for juicing. While I didn't lose much weight from this (I was a steady 39kg and it dipped below on the last day), it did help with some bloatedness and my tummy was exceptionally flat. I think it's quite a good way to kick start a weight loss/ work out regime as it shrinks your appetite. Since I saw some physical changes, I was slightly more determined to keep in shape too. Don't expect the weight to be kept off forever though. That only happens with a good diet and regular exercise. Also I noted that my skin was kinda clear and dewy during this period. Whee! 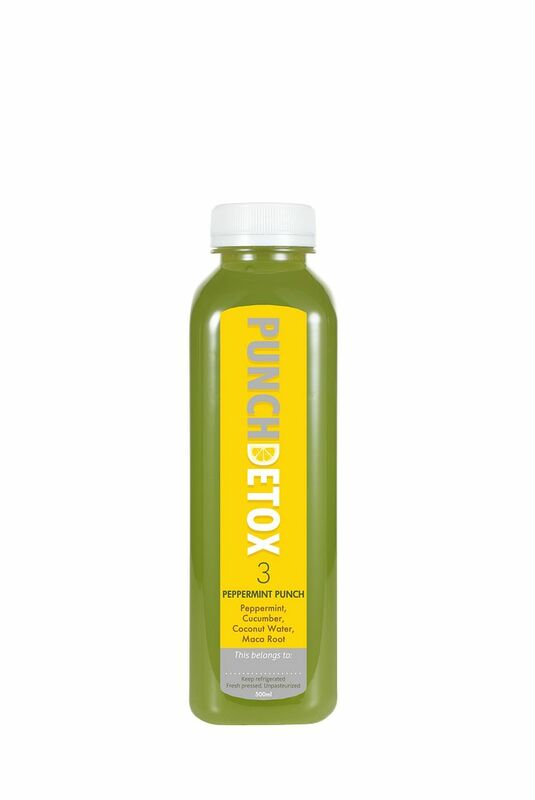 Punch Detox is available for order online at www.punchdetox.com.sg or you could email to info@punchdetox.com.sg Each three-day juice cleanse comes complete with 18 bottles and is priced at $330 nett, inclusive of delivery. 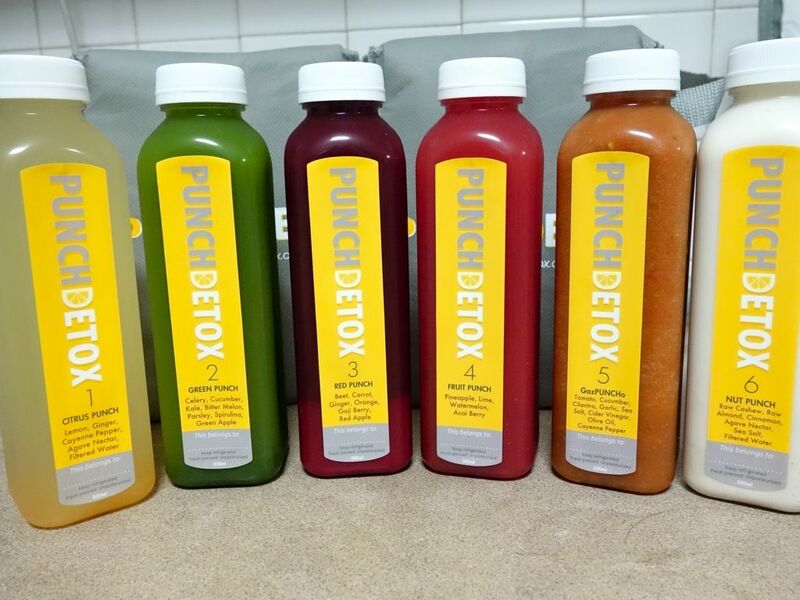 Individual juices can be purchased at $20 nett per 500ml bottle, with a minimum order of 6 bottles.